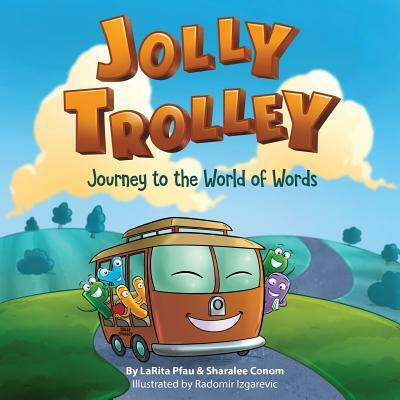 Jolly Trolley, a cheerful talking trolley, journeys to the wonderful World of Words to visit the Letter King. Along the way, Jolly meets a colorful cast of letter characters, each with their own feelings and problems. All the letters are hoping the Letter King can magically cure them. The King not only helps the letters with their problems, but he also helps them find their own special happiness. This book helps young children recognize the alphabet through Jolly's journey, and also helps kids see how letters combine in unique ways to make the words we all use everyday.